Women are already having an impact in a predominately male-dominated industry. 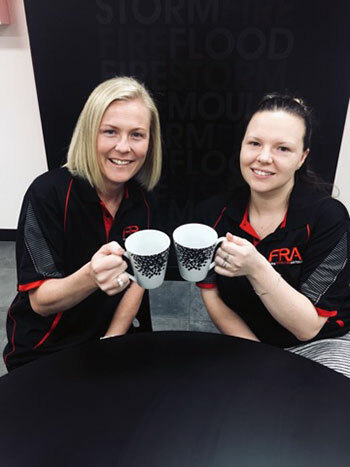 FRA’s National Marketing Manager, Peter Behm recently sat down with Candice Webb – General Manager, Tracey Schofield – Workforce Planner, Rebecca Loyola – Senior Claims Manager, Jenna Mungean – Claims Manager and Jess Newman – Warehouse Supervisor to discuss the role of women in Restoration, their own challenges and the future of the industry. Question: How did you start in Restoration? 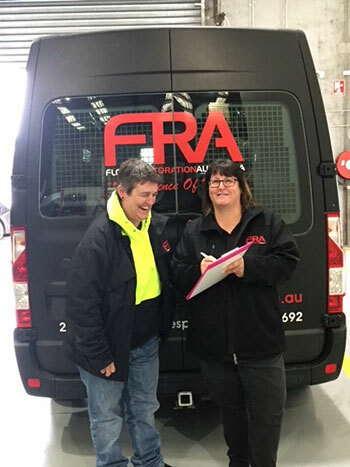 Jenna – I started work when an agency employed me as a casual in the role of a supervisor when there was a big storm and a lot to do. I was only 18 at the time. It was a case where I was thrown in the deep end at the start, but it taught me the basics of the sort of work ethic I would need to have if I wanted to stay in the industry. Jess – I started in the Warehouse and had my first experience in Restoration when we had a huge storm where I needed to complete a full pack out. It was my first time and it was very fast paced. I remember we had to complete a full pack out during Cyclone Yasi in 2011 and the flooding was so severe that there were air movers floating down the road. Tracey – I started in Restoration when I was given a chance by an employment agency to work for a large Restoration company. My first job was a casual at Philip Island where I was a casual. The role then became a full-time position. Over time, I started in other jobs and served as a Technician before moving into other roles within the industry. Bec – Like the other girls, I went through a temp agency to find employment in Restoration within their admin team. I was young and very green. I remember that when they were selecting the successful candidate, I was told that the position was already filled, only to be told it was me that was filling the position. What a relief it was! Candice – Well, I fell into Restoration and became a Manager at a large Restoration company. I have a background as a Para-legal, so it was very different when I moved from the Cayman Islands to Australia. I remember the first person I met at the company was Tracey and we have been friends ever since. What were the challenges when you first started? Jenna – We had to be so adaptable on the job. The reason we worked so hard was to see the Insured satisfied at the end of the job as we often saw them at their lowest point. Jess – I appreciate what everyone else does as they all have challenges. For me the challenges are trying to do everything at the same time as there are so many people wanting to be serviced. Tracey – You need patience. It’s the nature of the job and the care factor I have for the women I work with. I found that some males were confronted by females in the workplace. They didn’t believe that we could work as hard as they could and were surprised when we did. It’s almost like we needed to earn their respect. Bec – I felt that the male Techs were always very friendly and most of the time, made my job a lot easier. For me it was always the hard work that I found rewarding but there are never two jobs the same. We constantly learn on the job. Candice – Not a lot of people survive the industry as it can be hard. I find the parallels in our work to the kind of work the charities are doing as we are also trying to put people’s lives back together again and we often become a counselor, a physiologist and a sounding board for customers. What do you enjoy most about working in the industry? Jenna – For me, the chance to work on fire restoration is one of the more rewarding parts of my job. The people you work with also provide you with a real sense of satisfaction. They are a great team. Some people have left the industry but then returned to it again. I think some come back because of the great people in the company and what the industry offers rather than just the work. Jess – A great deal of care is taken during major contents pack outs and you need to ensure customers contents are always packed well. We even have some customers inspect their items, so we need to have everything well inventoried and listed. It’s the attention to detail that I enjoy in the industry. Tracey – I love it when customers contact us about how good our Techs were on the job. Our techs always make sure they do the extra little things when it comes to customers. They call them by their first name, they spend time talking to them about their claim and what needs to be done. It’s not a simple matter of just doing the job. As women and generally the first ones a customer contacts, we offer the emotional support to families when we are talking to them about their claim and it’s something that I really enjoy about our industry. Bec – One of the real challenges for me is to turn customers around who have had a bad experience and make it into a positive one. We ask for a Statement of Satisfaction from each customer and want to know if they are truly satisfied with the level of service we have provided. You can generally tell whether people will succeed in our industry. The industry can change you and then some. It’s often down to personality rather than gender and most young people whether it is male or female, take time to develop. The key for me in this industry is communication. Candice – Over the years, staff come and go but I love to see them develop and grow as people. Bec was one example of someone who was very shy when she first started in the industry, but I am in awe of how much confidence that she now has in working in a demanding role. I just love the journey with them all and the personal growth they have achieved. What would be your advice to anyone wanting to join the industry? Jenna – If you enjoy being on the road and meeting a lot of people, then Restoration may be for you. It can be physically taxing for both guys and girls. Jess – Work hard and you will be rewarded. Tracey – I think if you work hard, have good communication skills and can multi task, then you will enjoy Restoration. 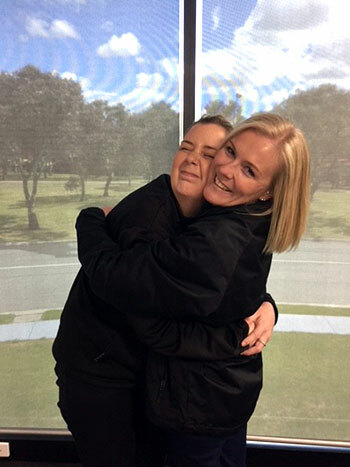 Bec – When we are in storm mode it can be overwhelming, with everyone running around but I also feel that you have a great team around you to help out when you need it. You need to be able to work at a fast pace as we are in the service business. Candice – We need to rely on others, so you need to be a good team player. Everyone in the business has their bad days but everyone is there to teach you more about the tasks we undertake. It is a great industry to be a part of if you understand that there can be long hours involved. What do you think the future of Restoration holds? Jenna – the industry has changed so much, and I feel it will only keep growing. I have also found that it is much more sophisticated and consequently, our company invests a lot of money in the technology of restoration and the equipment we use. Our Directors are over in the US and Europe trying to understand the continuing developments for us. Some Restorers want to keep the status-quo but the only way to improve is to continually reinvent yourself and invest in your company. Jess – I think that our industry will continue to evolve with quieter machines to dry. This is just not us as an industry that wants it, but the customer experience will appreciate the fact that we have listened to them by reducing the noise levels in their home or business. Tracey – I feel the way we are developing now means that there will be much greater details on the photos we take for the customers. Over the next 10 years, we will make it easier to provide digital solutions back to the office meaning faster response times. I also feel we will use less machines as we will have multi-faceted machines that will cost the insurer less and do more. It also means cheaper labour costs as take down will be easier. Bec – It will be far more flexible in its approach to computer systems, iPads, etc. with less paperwork required. I remember years ago all we had was manila folders full of reports. Now we use Dropbox as our primary information repository. Candice – Restoration companies will need to be aligned with allied trades much closer than we have been as that is the way our largest work providers would want us to go. I also feel this is coming quicker for us than anticipated and will see a major shift in the overall relationship. 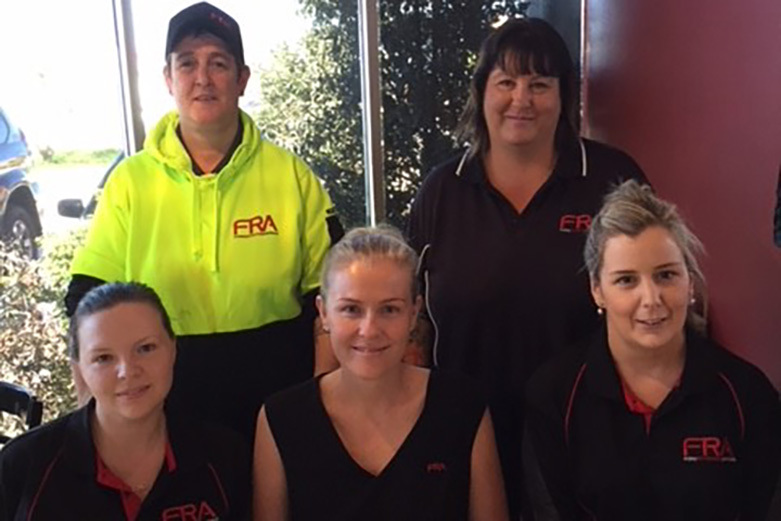 What the women in restoration have achieved in their careers with the industry is remarkable. They speak not only on behalf of the company they represent but also the valuable contribution that women make in this amazing industry.